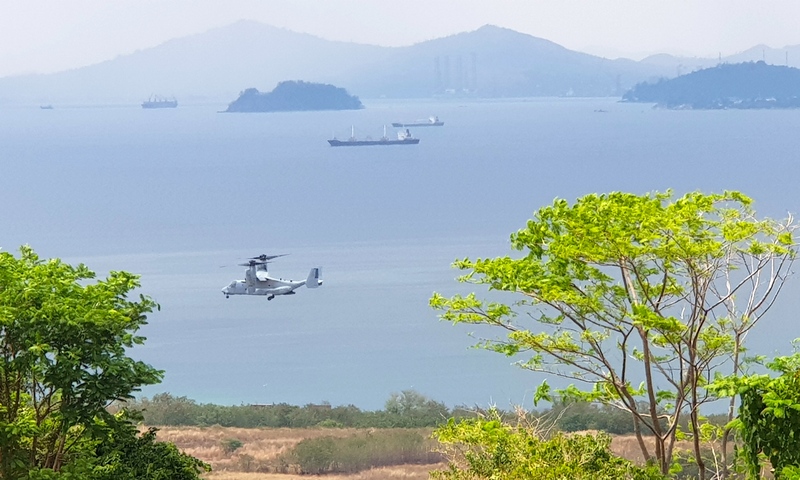 One of several Osprey planes from the US Navy multi-purpose ship USS Wasp lands at the Subic Bay International Airport (SBIA). Balikatan, an annual exercise between the U.S. military and AFP along with participants from the Australian Defense Force is ongoing. The USS Wasp pulled-out of the Subic Bay Freeport’s Alava Pier on Monday ahead of schedule but will be back in a week or so to load equipment and personnel, including US Marines, who are participating in the military exercises in other parts of Luzon. SubicBayNews photo by Vic V. Vizcocho, Jr.